Three key causes of burns in impoverished developing-world homes, are cooking-stoves, room-warming devices, and candles or other non-electrical forms of lighting. 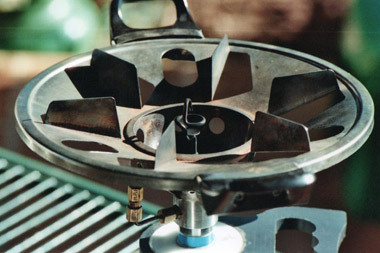 We believed the intellectual genius of George Long and Colin Vale was ahead of their peers in stove design, but both these South African inventors have been waylaid by rogues trying to rob them of their intellectual capital or trying to promote inferior, less well-thought-out products solely for business interests. The stoves, heaters and candle holders that will eventually succeed, will be those whose inventors and funders both have compassion for burned children and a quest to reduce injury. Only by caring about the repercussions of dangerous products, will inventors focus their minds to best effect. The Vale and Long story became intertwined with Parasafe and a company called Promethea. The allegation of illegal export of intellectual capital by the supposed funders of manufacture was due to be tested in the South African High Court on 23rd November 2010. Children of Fire wishes those two inventors well, most particularly because Mr Vale has lung cancer and the added stress of never reaping the rightful rewards of his ingenuity, cannot but further endanger his health. In late 2010 the marketer of the Jompy water heater came to see us but did not wish to meet the burns survivors, so we declined the meeting. 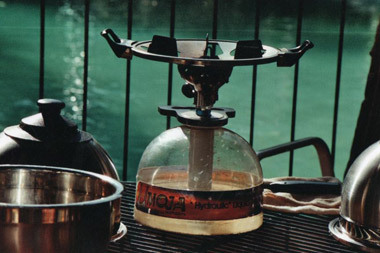 However another set of inventors came to visit with the Moja Stove. It is likely to be marketed to the South African public around March 2011. From what we have seen, we think that the stove covers many safety aspects of concern, and we hope that it will be warmly received by the general public. 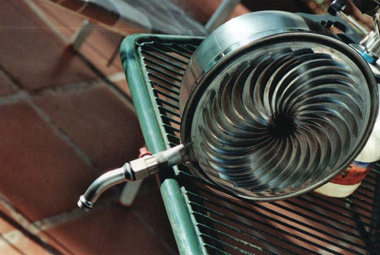 It can use paraffin / kerosene and probably other liquid fuels too. Vincent Watters believes the solutions to shack fires lies in rapid heat rise monitoring rather than smoke detection. The travelling physicist for many years worked in South Africa but after a stint in Nigeria, from August 2008 he started working in Nakuru, Kenya. 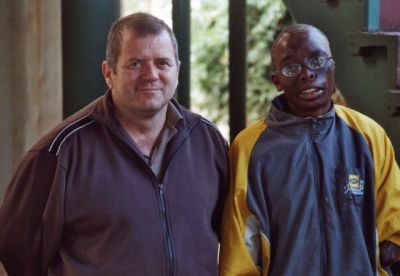 He is pictured here with burns survivor Bongani Madlala on a mid-winter visit to explain his concept to Children of Fire. One of the common causes of shack and house fires is from candles falling over. Do not think that if you live in formal housing, that you are immune from this danger. In South Africa, there are increasing numbers of power cuts thanks to City Power and / or power supply parastatal Eskom's lack of contingency planning and equipment maintenance. Electricity, sewers and roads are not top of the vote-winning speeches so securing or retaining "first world" infrastructure is sporadic. Candle usage is also increasing rather than decreasing. 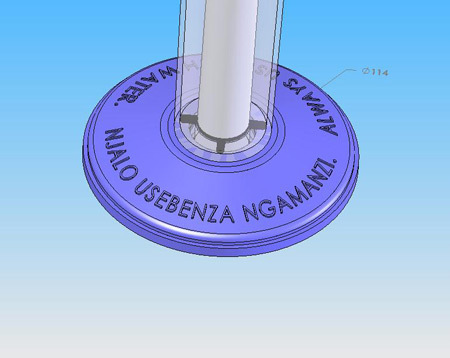 Designed by: Zorina Lorraine Adendorff - for details email: Adendorffz@ukzn.ac.za There is a mechanism at the bottom of the swirl holding the candle. The base makes it "almost impossible" to knock over and it has a hook to hang the candle up if necessary. Daniel Zilesnick with the design in 2006. In Zimbabwe the chances of reliable electricity supply in the cities is worse. And in many other African and wider developing world countries, candles will remain a primary light source. But people in formal housing are less prepared for the dangers of candles because they do not use them on a daily basis. In the meantime, building and furnishing materials have changed, exacerbating the dangers. Some people think that it is romantic to bathe by candlelight. They then forget the candle or "nightlight" that they left on the side of the bath and when it burns down or falls, it starts to melt the polymer bath, starting a house fire. Other times people use candles to decorate a meal table or a bedroom and when inebriated, they become careless or forgetful - so the candle gets knocked over or is left too close to flammable materials. If you are financially able to buy a fire extinguisher - and to get it serviced regularly - do so! Candles will still remain a high risk object wherever they are used. Candle manufacturers do include some small safety notices on the packets that they are sold in, but it would be safe to bet that hardly anyone reads these messages. And in squatter camps people buy candles singly so they don't have a chance to see the safety warning. 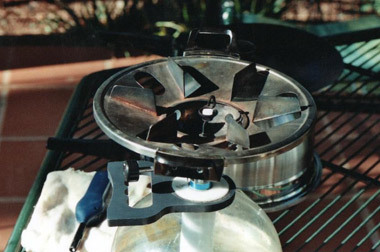 As with ideas for safer stoves, there are a lot of different concepts around; the simplest are often the best. Ever-inventive Colin Vale of Stellenbosch, Western Cape devised the "candle sandal" as a lump of candle wax in which a candle could be inserted; Afrimug of Steelport, Gauteng, made a Perspex-shielded candle holder that is very good - but it is too expensive for the mass market and it uses "dining" candles which are shorter than the candles bought by most squatter camp residents. People choose by price and familiarity so for now, Afrimug's holder will only be a product for the camping market - see http://www.afrimug.com. Every year a school boy or a little old lady thinks they have the solution to candle safety and visits us with another design idea. There are beaten-aluminium-sheet candle holders, and rocking-metal-cradle candle holders and so on. Most of the inventors would be more realistic if they spent a week living in a shack first. Old-fashioned metal candle holders with a candle support on a flat saucer-sized holder and with a metal handle to carry them by, are still in use (but not widely sold) and they are preferable to candles stuck on china saucers or wedged in the necks of old wine bottles, but they are still dangerous. 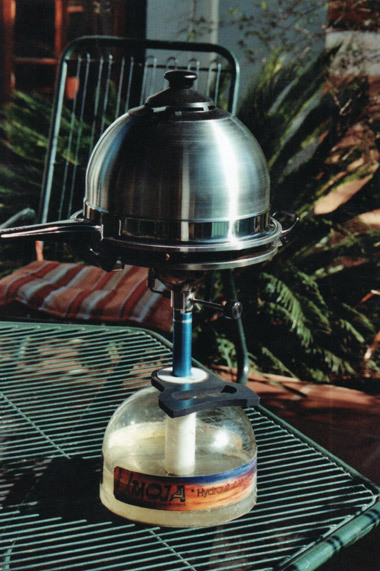 And some people use glass-shielded "hurricane lamps" for light, fuelled by liquid paraffin or kerosene. The flame is shielded, but the horrific injury from burning liquid fuel accidentally poured over the groin of an infant in Botswana is an image I will never forget. It flowed into every crevice of skin but took just one careless second to knock over. The devastation is with those children for ever. The Child Accident Prevention Foundation of South Africa favours putting candles in sand, inside old jam jars and the idea has much merit, not least because the holders are free. 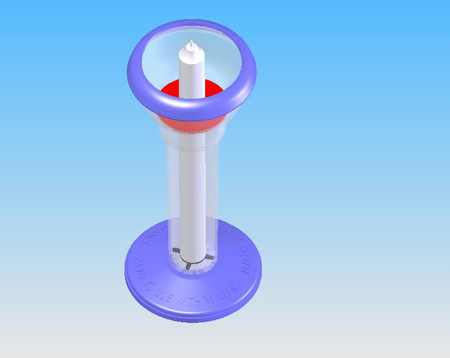 Children of Fire has long been looking at re-tooling the mould of an existing plastic safety candle holder to improve some small design defects. Plastic is easy to form into different shapes, is light and it is cheap. The holders use recycled plastic which is environmentally friendly and follows the wider ethos of Children of Fire. 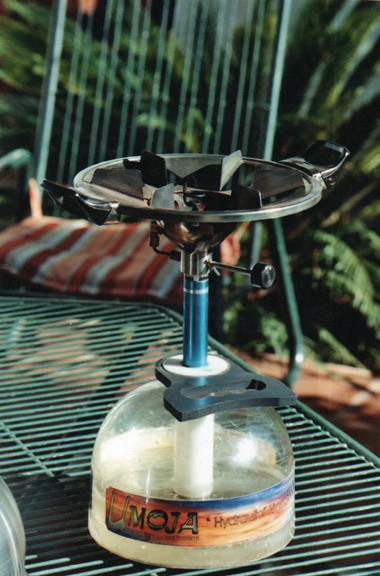 The patent-protected concept from inventor Rolf Krusekopf was a good idea, as the candle floated in water and if it fell over, the water extinguished the flame. It was not the first candle holder where candles float in water, as these have been used for decorative effect rather than safety considerations, for a century or more. 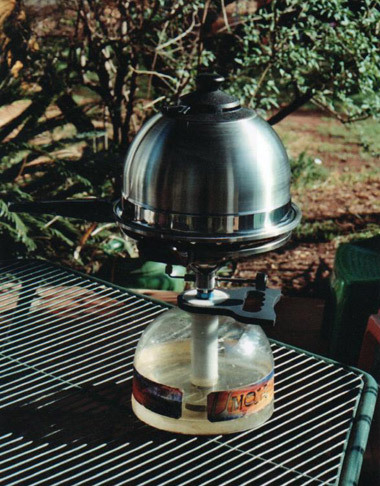 For some years though, we have linked with Mr Krusekopf and provided safety candle holders to squatter camp communities (the UMashesha section of the website shows volunteers testing the device). Now we are looking at the costs and the technical issues of re-tooling the mould to optimise the design, with financial assistance from National Brands. It is easy for candles to get knocked over in the confined space of a shack and usually flammable materials are nearby, so a fire starts. People use curtains as room dividers; they line corrugated iron walls with posters, newspaper and other materials that burn easily. Also young children knock candles over and do not understand the imminent danger when they do so. Often irresponsible parents leave infants alone on a bed (or a thick sponge sheet) with a candle by their side for light while the parent maybe goes out to collect water from the tap - or more frequently - goes out drinking with their friends. The infant is typically locked in the shack (for safety...) and then when the candle is knocked over, people cannot readily get inside to help them. So we will lengthen the shaft of the candle holder to ensure that from the moment the candle starts burning, water would extinguish it (it was previously a little short). We will widen the base for greater stability. And will add the words in raised letters: ALWAYS USE WITH WATER and in Zulu: NJALO USEBENZA NGAMANZI. Finally we will add flame retardant chemicals e.g. 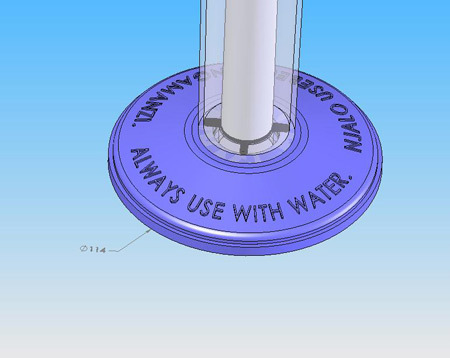 MB 254 from Performance Master Batch or ML1B416 from Pigments Masterbatch, to the polypropylene, even though they increase the unit cost by nearly a sixth, because there will always be someone who can't read or doesn't listen, who might use the holder without water or enough water. 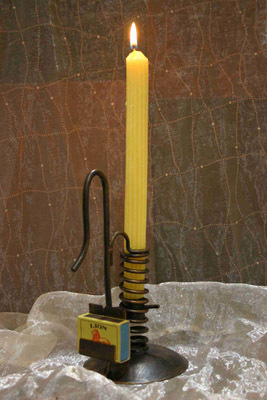 Thanks to Wayne Thompson of Parker Manufacturing (011 474 1989) for producing computer images of the re-designed candle holder.